I figured it's worth at least a brief mention on LOGOLOG. 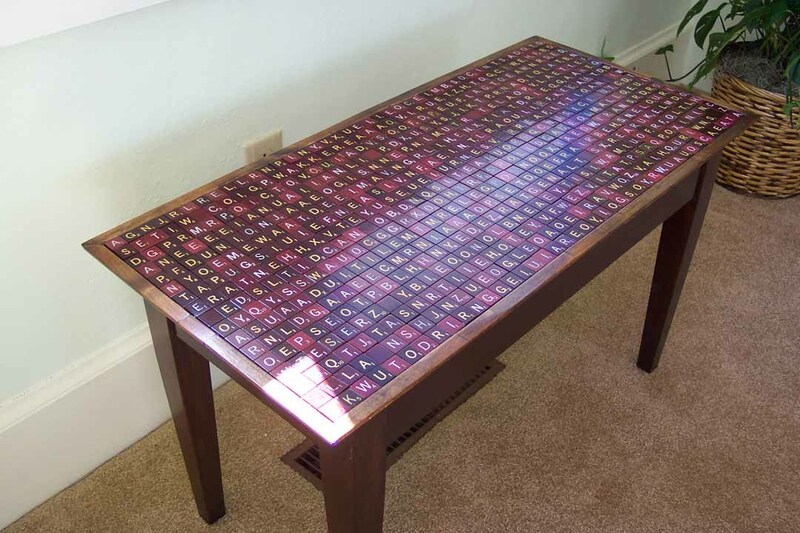 I actually wrote up a whole page about this Scrabble table. So, in tournaments, the Scrabble tiles are all smooth faced? Correct, in tournament play plastic tiles with printed letters are used to avoid people (accidently) feeling for the blanks.